The Course runs on Saturdays during School term-time from mid-September to mid-June, with three full weekends in September, May and June. For many, it can be fitted around work and family commitments and so attracts those with a wide range of interest. The full Course is over three years with recognised exit points after the first and second years for those not wishing to go into teaching. Deirdre Hill is the Coordinator of the Teacher Education Course, where she leads study of Steiner’s philosophy – Anthroposophy. She graduated with an MA in English Literature from Edinburgh University and a Diploma in Waldorf Education from the Edinburgh Teacher Training Institute. 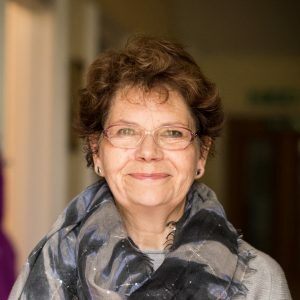 She works as an Upper School English teacher at the Edinburgh Steiner School, but also has experience in the Learning Support Department and teaches Religion in the Lower School. A mother of three grown children, she is inspired by her own education at a Steiner School in England. 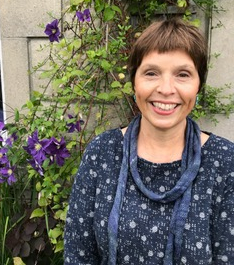 A graduate of Glasgow School of Art and the Edinburgh Steiner Teacher Education Course, she has been a Class Teacher for the past twenty years. She leads the Visual Arts on the Course as well as sessions on the curriculum and other practical pedagogical issues. She believes that creativity and artistry are essentially intrinsic human attributes which can be developed by all and that Steiner’s indications for working with the visual arts with children allow these capacities to flourish healthily. Emily Maclean holds a Master of Education (with Steiner concentration) from Antioch University (USA), Master of Arts in Museum, Archival and Editing Studies from Duquesne University (USA), Diplomas in Speech and Drama (Goetheanum, Switzerland and Trinity College, London), a Post-Graduate Diploma in Anthroposophic Therapeutic Speech and a CELTA qualification (Cambridge). She has always been moved by the beauty of language and has taught French and Speech, primary and secondary, both in the USA and the UK for over 30 years. 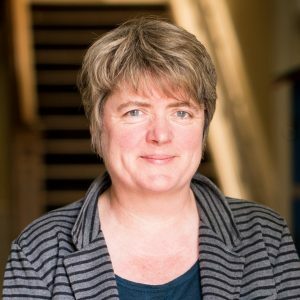 She currently teaches both Speech and English as an Additional Language at the Edinburgh Steiner School. She is passionate about helping people to find their voice, whether it is through the lens of another language or by developing greater confidence and having the courage to speak effectively. Other tutors contribute throughout the Course and we regularly invite guest lecturers from further afield.